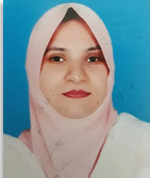 Dr. Hina Fazil, Working as Assistant Professor at the Department of Special Education University of the Punjab since 2011. Before that she was lecturer in the same department since 2001. She Did her Master degree and PHD in Special education with a major focus on Intellectual and developmental disabilities From University of the Punjab. The title of her PHD dissertation was “Development and Validation of teaching learning resources (TLR) for children with autism”. She has 23 research papers at her credit published in HEC recognized, national and international journals. She has presented may research papers at national and international conferences held in the country and in abroad. She has supervised more than 200 Master degree theses, 5 MPhil theses and one PHD thesis (in progress). Teaching is her passion. Hina, F. &Hameed, A. (2009).Perception of Prospective Special Education Teachers and Its Implications for Children with Autism in Pakistan. PJSE (Pakistan Journal of Special Education), Department of Special Education, University of Karachi, Vol. 10, pp. 53 – 60.